This single took me a dog’s age to track down, and mine came without a picture sleeve and a little crackle. Hey, I’ll take what I can get. What YOU get however, is three incredible tracks that walk a fine line between Seventeen Seconds-era Cure and The Names. Pretty amazing touchstones… Don’t pass this one up! This entry was posted on June 13, 2012 at 10:24 pm and is filed under 1980, 1981, post-punk, synth, uk with tags Acute Logic. You can follow any responses to this entry through the RSS 2.0 feed You can leave a response, or trackback from your own site. looking forward to this frankie! thanks for consistently putting out top notch hard to find music that most of us missed the first time around. it’s much appreciated. have a good weekend! I’ve got two copies of this 7″ so will put one on ebay soon. Great single. One of the members has posted on youtube! 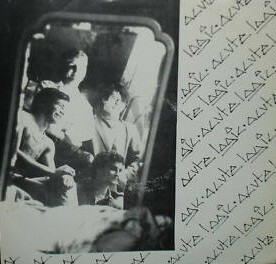 ac- would you be kind enough to scan/send me hi-rez photos of the front and back of the picture sleeve? my copy came without, would love to have for my records!